Leading employment lawyer Dan is Head of our Employment and Sports Teams and is also the Training Principal for the firm, with an excellent reputation for providing dynamic, commercial advice. IS IT GOOD TO WORK? Dan trained with the firm and qualified as a Solicitor in September 2002. He graduated in law with first class honours from the University of Keele in 1999 and completed his studies at Nottingham Law School where he gained a distinction in the Legal Practice Course. He became a Partner of Leathes Prior in 2005. In addition to being Leathes Prior’s Training Principal responsible for the recruitment and training of trainee solicitors, Dan is a member of the firm’s Management Committee. Dan's expertise lies mostly in acting for employers and regularly appears as an advocate before the Employment Tribunals nationwide. His diverse client base includes employers of all sizes, including many household names. He has a reputation for providing dynamic, commercial and pro-active advice and, where required, backs that up as a fearless advocate. He has appeared in many high-profile cases throughout his career and is adept at dealing with media scrutiny. Dan also has extensive experience of dealing with drafting and enforcing restrictive covenants for businesses, and also specialises in the health and safety aspects of employment law. He is regularly called upon by national media to provide guidance on all aspects of employment and sports law, and has featured in publications such as the Law Society Gazette, Guardian, Financial Times and extensively on BBC TV and radio and other media outlets. 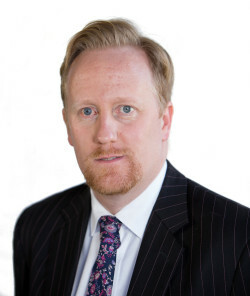 In his capacity as one of the region’s few genuine sports lawyers, Dan acted for Norwich City Football Club in its dispute with the News of the World and Colchester United Football Club (Dan appearing as an advocate before the Football Disciplinary Commission) and he has acted for and against numerous Premier League, Football League and non-league football clubs throughout the UK. He has also successfully acted in relation to a large dispute in Formula One GP, and many other sporting matters, including a number of regulatory hearings. Dan is one of the few solicitors nationwide who is an active FA Registered Intermediary and is therefore able to act for football clubs and players on transfers and related transactions, conducted by the firm’s boutique sports agency Full Contact – which Dan set up in 2012. His experience of football transfers includes transactions in the Premier League. He has developed a niche expertise for advising football agents and clubs in regards to Rule K Arbitration disputes with other agents, clubs or players. Dan is an active member of the Employment Lawyers’ Association, the British Association for Sport and Law and is the current vice-chair of the Society of Football Intermediaries & Agents (SOFIA). As Head of Leathes Prior's Sports and Employment teams Dan has contributed to the November and December 2017 issues of World Sports Advocate. The full, unedited version of his article published in December’s edition can be found here. Dan also contributed to a recent BBC Radio 5 live debate on this topic – click here. Dan is one of only five employment lawyers in East Anglia and one of only two in Norwich to be inducted in to the Legal 500 Hall of Fame - an accolade reserved for those lawyers said by the Legal 500 to have been an elite leading lawyer in their rankings for at least eight of the last ten years. The best employment lawyer I've worked with. Tough fighter Dan Chapman is a household name in high-value matters. Ranked as band one and acknowledged his skills as an advocate before employment tribunals. He is excellent and very efficient; he can think on the spot and give you both an answer and direction. He is excellent and very efficient; he can think on the spot and give you both an answer and direction. Amazing individual with outstanding knowledge. Clients attest that they have rarely found someone as commercially aware as Dan Chapman, who impresses with his quick, pragmatic and dynamic approach. The effective and efficient Dan Chapman has exceptional knowledge and business acumen. We are very grateful for you representing us on Thursday. You saved us extra legal costs and were very helpful in briefing us on the subtle distinctions in considering last minute options. I could almost hear your mind impressively whirring. It would have been very easy to have launched us into battle, having done all your expert preparation, especially at the twelfth hour with us all fired up, chomping at the bit. Restraint doesn't come easily to me. With your expert guidance, we made the right decision. Tricky to accept at the time but I'm reminded whatever the issue, usually the hardest option is best. Ours sincere thanks also to Sarah for her diligence and hard work behind the scenes. She is clearly a very talented asset to the number one law firm in the County. Thank you Dan, you've been amazing. Strong following in the sport sector and hails him as a savvy negotiator and a dynamic operator. Dan is succinct, practical and precise and his team are exemplary, first class. Someone who has so much knowledge and advises us in a very down-to-earth way. Remains calm and organised under pressure. Straight to the point, prompt, professional and his advice is always relevant. Leathes Prior's Dan Chapman has a great understanding of the realities of a professional sports business, and continually impresses with answers tailored to the specific needs of clients. Local leading light whose strategy and experience are key success factors. His commercial awareness and strong sense of reasonableness make him a pleasure to work with. Assertive, commercial, and on top of his game. Excellent response times and commercial acumen. Singled out for his quick and efficient service, and comprehensive knowledge of employment law. Exceptionally good and a clear communicator, very thorough and able to provide accurate, timely advice. Praised for his speed, efficiency and thoroughness. Dan is well respected in the region for his Employment Law experience and advocacy skills. Legal expertise wrapped up in clarity, availability and professionalism. Dan Chapman has a stellar reputation in the county and leads a team of four. The legal advice we have received from Dan has been of the highest standard. Not sure I’ve said it before but you are amazing!